Try new (legal) things. BOOM! Home / Adviart Blog / Try new (legal) things. BOOM! Try new (legal) things. BOOM! This adviarter picked a rock out of the collection to design. Both sides of the rock are designed to the fullest. 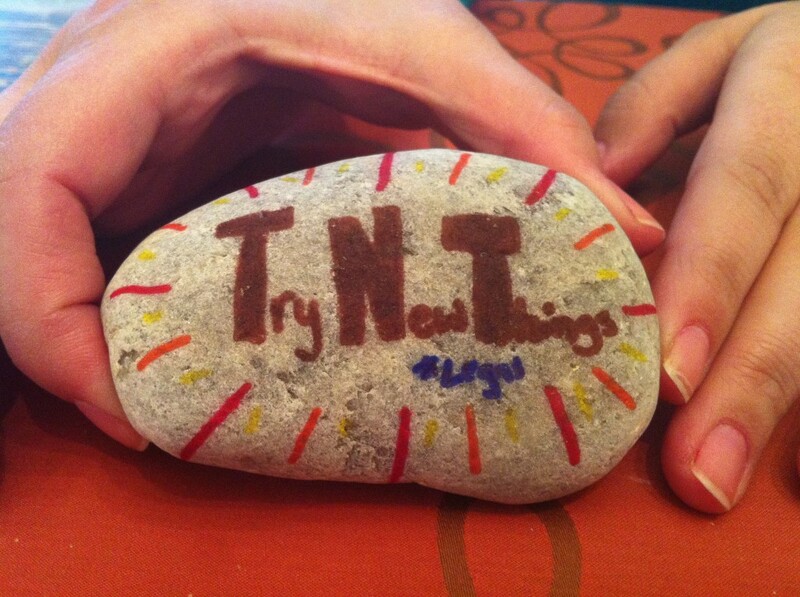 The words TNT on the front of the rock–standing for Try New Things. This adviarter took bright colors to spread out the word. The *legal on the bottom to bound the advice to ensure it aligns with the rules and regulations of the land. This adviarter expressed the need to try new things as much as possible–it opens the mind, provides experiences to help one grow, and enables one to live. 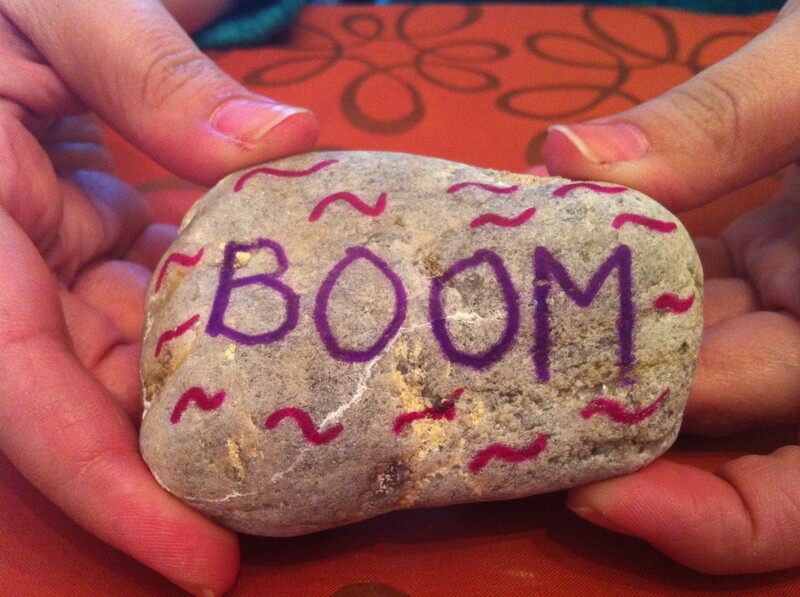 The other side of the rock says BOOM!. It is similarly designed using the fullest extent of the rock in natural, deep colors. The BOOM! represents the fact that when trying new things there is always a boom–either in a good or bad way. When we go out of our way to try something new and experience in the boom–no matter what we grow. So how can we make sure that we are trying new things on a regular basis? How do we fit this into the routine of life to ensure that we are growing? Most importantly, how can we appreciate the positive and negative booms that happen as a result of TNTing?